Awarding Enterprise Innovation Awards to BRI and PGN, Tuesday, August 28, 2018. 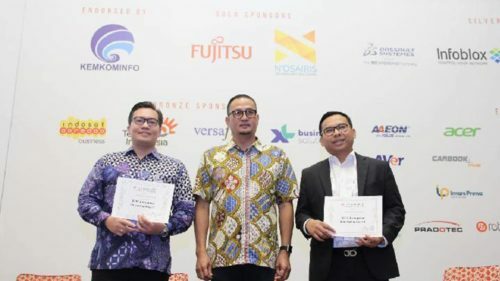 Bank Rakyat Indonesia (BRI) and the State Gas Company (PGN) won the Enterprise Innovation Award held at the Business Platform Asia Internet of Thing (IoT) Conference. The award was given to companies and government institutions in Southeast Asia that have successfully carried out digital transformation. In a statement received by Tempo, August 28, 2018, the two Indonesian companies defeated more than 30 candidates. The 25th Asian Conference of IoT Business Platform was held on 28-29 August 2018 at The Ritz Carlton, Mega Kuningan, Jakarta, which discussed IoT implementation in Indonesia. The conference was attended by stakeholders in the IoT industry, governments, IoT solution providers and user companies. The event discussed how to deal with IoT challenges and potential that Indonesian businesses have not explored. According to a survey conducted by the Asia IoT Business Platform, at the beginning of 2018 describes a number of good data. The survey shows that digital transformation is expanding in Indonesia, with 91.9 percent of companies doing digital transformation.